Tomorrow night is Halloween and that means that in every community across the country kids will be out and about after dark. It can be nerve wracking for both parents and drivers trying to keep accidents from happening but by following a few important safety precautions everyone can have a great time! Make sure that you walk on well lit streets and if there are not streetlights then carry a flashlight and wear bright clothing. Have kids remove their masks as they are walking so that they can see where they are going and watch for approaching cars. Use sidewalks if available. Remind kids to check roads for cars before crossing, since they are excited it is easy to forget. Only visit neighborhoods and homes that you are familiar with. Don’t go to dark homes without lights on, remind your children to not go into homes and to stay with their group. Don’t let them trick or treat alone. Don’t allow your kids to eat their candy until they get home. Once they are home make sure to check their candy for proper packaging, choking hazard and potential allergens. Make sure that you walkway and steps are free of obstructions so that children don’t fall and get hurt. Avoid using decorative candles that could set costumes on fire. 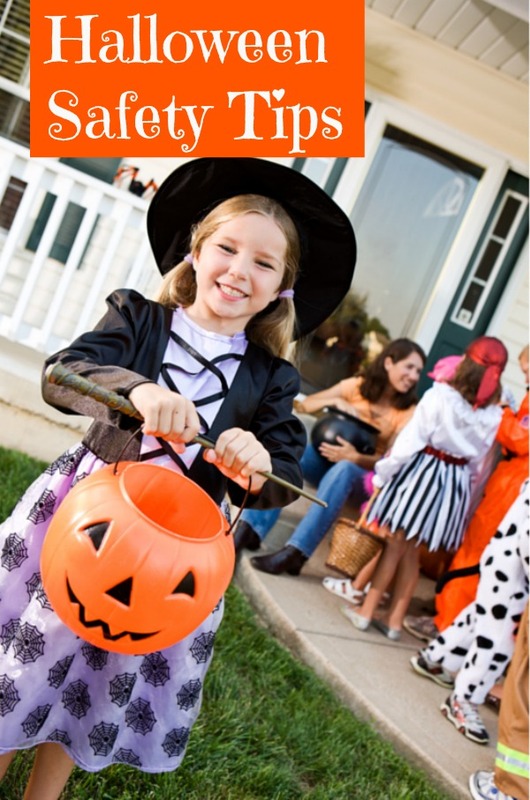 If you must drive on roads with trick or treaters drive slowly and watch for kids running into the street. Remember to HAVE FUN and if you follow these safety precautions you will have a GREAT time!